Variable speed swimming pool pumps have been the buzzword in the pool industry in recent years. Finally, here’s a pump that can dramatically decrease your electricity bill every year. These pumps have many different speed settings so that you can set the flow to the most energy efficient speed as possible for the job. If you used to run a single speed pump in your pool, you will want to have one of these new technology to save on your energy bill. 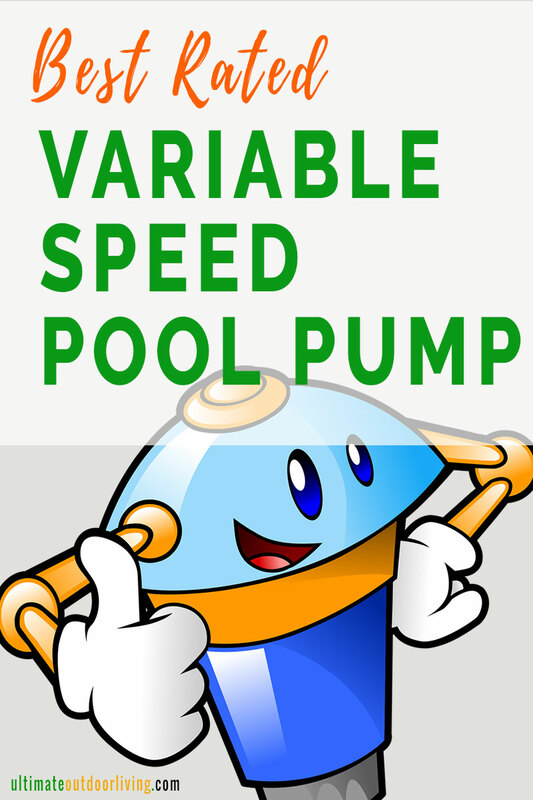 Besides, more and more areas are making it a law to only use variable speed pumps for residential pools. Here are threee of the best rated variable speed pool pumps in the market today. Check them all out before choosing which pump to buy. All of these three pumps are energy star certified. There are three companies that are neck to neck when it comes to pool pump ratings. These are Pentair, Hayward and Jandy. In the listing below, I have listed the bestselling pump model from each brand. Pentair’s intelliflo series has truly made a name for itself as one of the quietest and most efficient energy pumps in the market and it’s variable speed model, 011018, is one of the highly rated models in the market. The Pentair Intelliflo Variable speed pump has over 8 different speed settings which you can adjust depending on the needs of your pool. This means you can set different settings for different jobs like filtering, heating, jet spas, or waterfalls. Hayward Variable speed pump also have 8 different speed settings whcih are all fully programmmable from its digital control interface. Another great feature of these pumps is the interface which can be mounted on the wall or can rotate on 4 different positions. A very handy feature. The Hayward and Pentair pumps above have been the leader in variable speed pool pumps in recent years. However, Jandy Epump series have also been getting a lot of good reviews lately and is one of the best rated variable speed pool pumps right now. It has not been around as long, but so far, users like it a lot. The Jandy epump also has 8 different programmable speeds and features the same benefits as the other two above such as a quiet motor and energy efficiency. The pro-series is available in 1.5 hp and 2.5 hp only. If your pool doesn’t need a pump with stronger horsepower, then the Jandy Epump is just as good as Pentair and are about the same price too. The Jandy epumps, being newer than the other two brands may not have as many reviews online as the other two. But you will find that many who do use it are equally happy with its efficiency.